Overnight Road Trip - Invermere, B.C. 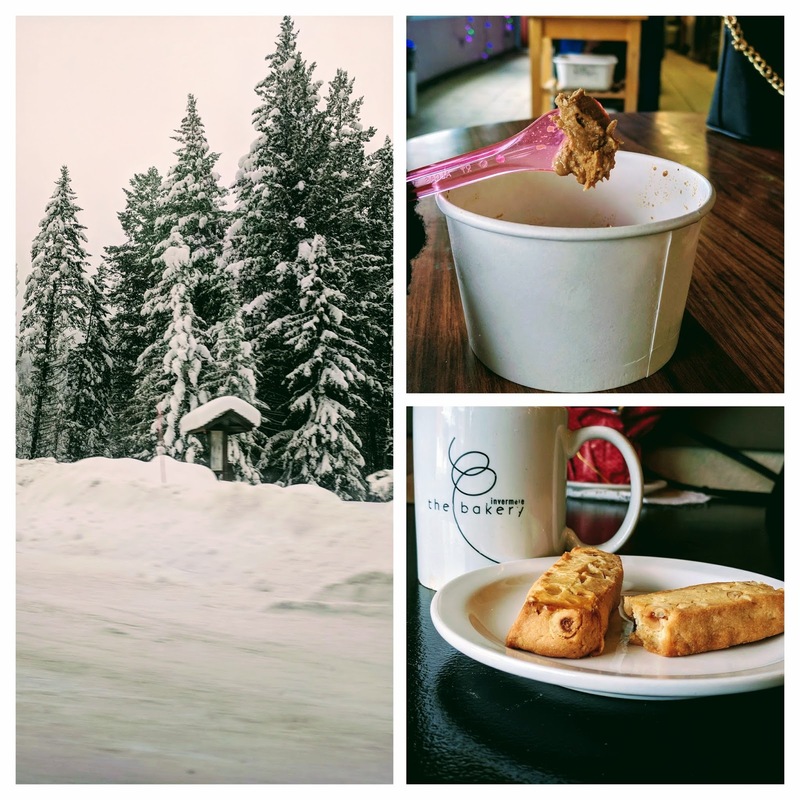 Things to do in Calgary: Overnight Road Trip - Invermere, B.C. Invermere, B.C. is approximately a three-hour drive from Calgary and a wonderful town to explore on an overnight trip. This has been our favourite getaway over the last few years. We usually stay at the Copper Point Resort. They have a number of special deals over the winter months. Just this January, we scored a night of accommodation for $70! An absolute steal. Their best deals are sent over email, so be sure to sign up for their newsletter. Their amenities include an indoor and outdoor hot tub and fire pits for s'mores. When the weather is warmer, the Copper Cabana also supplies poolside drinks. Once in Invermere, check out the Blue Dog Cafe, which has a great number of wraps and sandwiches. On our last trip, I enjoyed a delicious lentil bean burger with potato florentine soup while the man tried the grilled cheddar chicken guacamole sandwich. We were so hungry that we completely forgot to take a photo. While the food was delicious, do be on the lookout for tourist pricing as the meal did cost over $30. Next, spent the evening at Arrowhead Brewing Company, the brewery that got us hooked on craft beer. We suggest trying their sampler flight for $15. We always spend the next morning at the Invermere Bakery (formerly known as Quality Bakery). Their hazelnut shortbread cookie and cheese buns are must haves. If your sweet tooth is not satisfied, Gerry's Gelati is just a block away and even roasts their own Stolen Church coffee. Finish day two with a dip in Radium Hot Springs before returning to Calgary. We hope you enjoy your Invermere getaway as much as we do!